As Lauranett Lee (Grad ’02) turns over page after crinkled page of Virginia slaveholders’ property records, it’s the occasional handwritten value ascribed to an old man or child noted in simple script next to the record that always stops her cold: $0. Despite four years of combing through these records, she still isn’t used to seeing it. 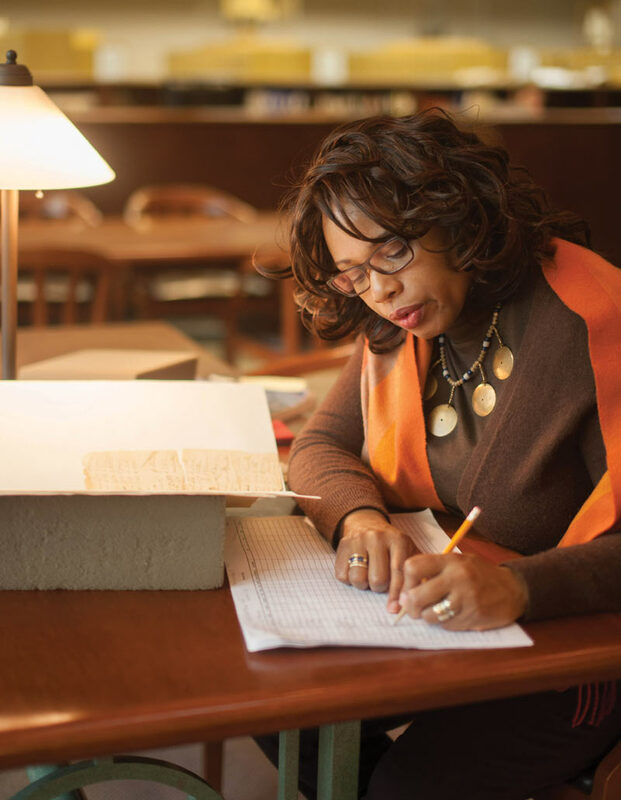 Lee, curator of African-American history for the Virginia Historical Society, is searching for references to enslaved people to add them to “Unknown No Longer,” a public database of enslaved Virginians who appear in inventories, bills of sale, wills and other records that are part of the society’s collection of more than 8 million unpublished documents. It is the largest project of its kind. While several counties and plantations, including Monticello, have launched similar efforts, there are no other known statewide projects and, even if they existed, none would rival the significance of Virginia’s. Various notations about people held in slavery in the society’s archives were no secret. Lee came across them regularly and told colleagues about them in the course of ordinary office conversation. As those conversations continued, one of Lee’s colleagues, Eileen Carr, an archivist, began to sense the data’s immense genealogical value. But the data would have to be compiled painstakingly by a researcher combing through those millions of records. Lee was the obvious choice. The society created an internship focused on African-American history for her in 1992, when she was a master’s degree student at Virginia State University. It later hired Lee in 2001 as its first curator of African-American history, just as she was finishing her Ph.D. at UVA. Lee says that before joining the society, she’d always held slavery at arm’s length. She knew some of its painful legacy personally. Growing up in Chesterfield County during desegregation, she recalls being forced to sit on the floor of the bus in fourth grade because the white students at her Midlothian, Virginia, school would not give her a seat. “It was a very difficult, lonely and tense time,” she says. So as a doctoral student, Lee focused her dissertation on the Reconstruction era, and developed exhibits and programming at VHS that, if they touched on slavery at all, moved on from it very quickly. When her colleagues approached her about developing the project that would become “Unknown No Longer,” she says she had zero interest in it. It is for them that she says she pores through slaveholders’ records. In an era when algorithms plow through massive data sets in an instant, she is like the archaeologist searching with brush and spoon to reveal long-buried slivers of information. Her work happens in the historical society’s elegant reading room, where she pulls boxes from shelves and folders from boxes and slips of paper from folders. “This is always a puzzle, trying to unwrap all of this,” she says. As months passed, she says she learned to cope better, to lean on colleagues, to walk away when it became too much. She launched the database in 2011 and continues adding to it, patiently building it name by name. Lee says her work is deeply satisfying. I am impressed with your spirit Dr. Lee! I know I have family ties there with a Scottish/English father and an African mother. Life was difficult being raised in the late 50’s & 60’s in Petersburg VA from hidden Nationality that I later researched and discovered the truth. No one can understand pain like the Almighty God who I immensely depend on to live in this life and world! Thank you for your hard dedication for us!!! I wish I was at the Thanksgiving table with your family! Thanksgiving is what they should be giving you!!! I want to commend you for the outstanding work you have done . My family roots in Virginia. 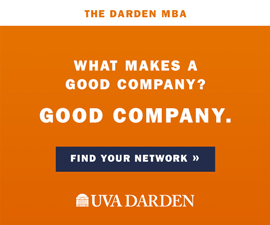 My son is a Law grad from UVA. I would like to arrange a meeting with you to discuss my my family roots..
D r. Lee, you have done some very, very valuable work. Thank you! WaHooWa!! My husband and I have a daughter from class of 2010. We still visit UVA once or twice a year. And as we meander along the pathways of the Academical Village we cannot help but wonder and imagine about the many slaves who built this gem of a university. Who were they and what were their stories? Thank you, Lauranett Lee! I look forward to receiving updates on this extremely valuable project.